Cleve Carney Art Gallery presents “Amy Vogel: A Paraperspective” Sept. 4 – Oct. 25. “Amy Vogel: A Paraperspective” is a collaboration between Joseph Grigely and Amy Vogel, with a catalogue essay by Joseph Grigely. The opening preview reception is Thursday, Sept. 4 from 12-2 p.m.and is free and open to the public. The gallery will also host a conversation between the artists and Anthony Elms, a 2014 Whitney Biennial curator and Associate Curator of the Institute of Contemporary Art (ICA), Sunday, Sept. 7 at 1 p.m. This lecture is also free and open to the public. For more about the exhibition and related events, visit cod.edu/gallery or call 630.942.2321. “Amy Vogel: A Paraperspective” incorporates signature style work, experimental projects, individual and collaborative work made by Amy Vogel over a period of 15 years in an attempt to define a body of work by examining both its public and private sides. “Amy Vogel: A Paraperspective” uses an array of mix media materials, including photos, paintings, sculpture, notes and raw materials, to shine light on the many possibilities explored, and elucidate the facets of creating a body of work including failed experiments, subjects that never got past being experiments and more. Some of the work will be presented as if packed for shipping; some partially unpacked; some displayed as if in storage; and, in one case, the storage rack is itself will be both exhibition infrastructure and sculpture. A catalog essay by Joseph Grigely, who also collaborates with Vogel in the raising of their adopted son, will be made available to visitors to the exhibition as a companion piece to the viewing experience. Amy Vogel lives and works in Chicago, where she is Assistant Professor in the Department of Contemporary Practices at the School of the Art Institute of Chicago. She has exhibited with Larissa Goldston (New York), Paul Kotula Projects (Detroit) and Air de Paris (Paris). Joseph Grigely is an artist and writer. His recent exhibitions include the 2014 Whitney Biennial; Centre Pompidou, Metz; CAPC, Bordeaux; the Museum of Contemporary Art, Leipzig; and Palais de Tokyo, Paris. His publications include “Textualterity” (1995), “Blueberry Surprise” (2006) and “Exhibition Prosthetics” (2010). He is Professor and Chair of the Department of Visual & Critical Studies at the School of the Art Institute of Chicago. Cleve Carney Art Gallery presents “Amy Vogel: A Paraperspective” Sept. 4 – Oct. 25. Opening preview isThursday, Sept. 4 from 12-2 p.m. and is free and open to the public. Following the opening, the exhibition can be viewed during regular gallery hours Monday through Thursday from 11 a.m. to 3 p.m.; Thursday from 6 to 8 p.m.; and Saturday from 11 a.m. to 3 p.m. The gallery is usually open beginning one hour prior to MAC performances held in the Belushi Performance Hall and during intermission. The gallery will host a conversation between the artists and Anthony Elms, a 2014 Whitney Biennial curator, Associate Curator of the ICA, Sunday, Sept. 7 at 1 p.m. Elms has had his writings appear in numerous publications including Art Asia Pacific, Art Papers, Artforum, New Art Examiner, and Time Out Chicago. As an artist, Elms has participated in projects exhibited at Gahlberg Gallery (Glen Ellyn, Ill.), Hyde Park Art Center (Chicago), Mandrake (Los Angeles), Mess Hall (Chicago), Randolph Street Gallery (Chicago), and VONZWECK (Chicago), among others. He has independently curated many exhibitions, including: “Sun Ra, El Saturn & Chicago’s Afro-Futurist Underground, 1954-61” (with John Corbett and Terri Kapsalis); “Interstellar Low Ways” (with Huey Copeland); and “Can Bigfoot Get You a Beer?” and “A Unicorn Basking in the Light of Three Glowing Suns” (both with Philip von Zweck). He holds a BFA in painting from Michigan State University and an MFA from the University of Chicago. For more information about the exhibition and related special events, visitcod.edu/gallery or call 630.942.2321. You can also learn more at Facebook:facebook.com/clevecarneyartgallery. 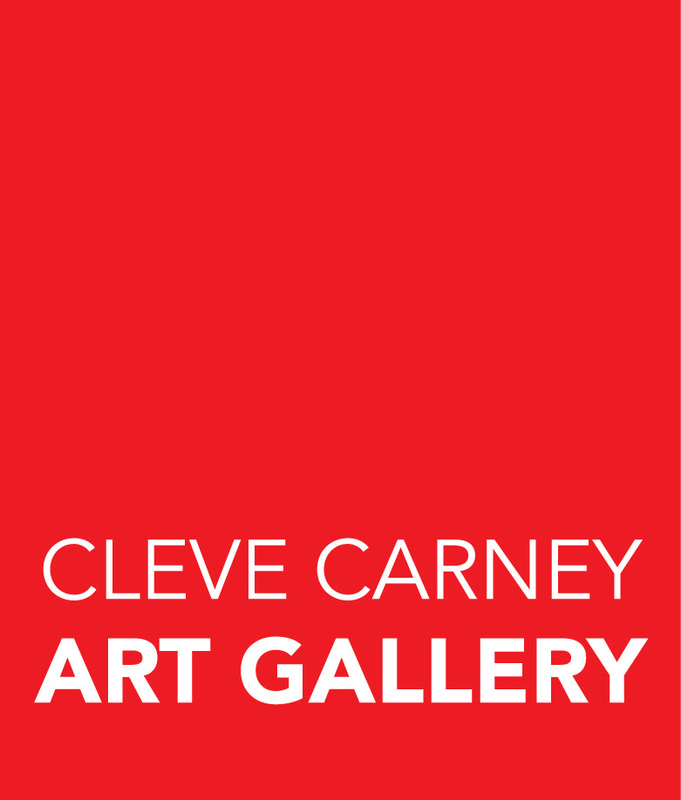 The late Cleve Carney provided a significant legacy gift to establish the Cleve Carney Art Gallery, a one-story, 1,850-square-foot addition on the west side of the McAninch Arts Center. 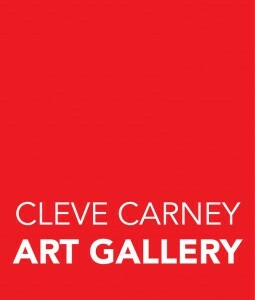 The gallery opened in February 2014 with its inaugural exhibition “Selections from Cleve Carney’s Art Collection” and offers year-round visual art exhibitions showcasing a variety of innovative art by regional, national and international artists. In conjunction with the Cleve Carney legacy gift, the College of DuPage Foundation has launched a three-year endowment campaign to ensure Carney’s generous gift is fully realized. For more information visitcod.edu/foundation. McAninch Arts Center (MAC) at College of DuPage is located 25 miles west of Chicago nearI-88 and I-355, and houses three performance spaces (the 780-seat proscenium Belushi Performance Hall; the 186-seat soft-thrust Playhouse Theatre; and the versatile black box Studio Theatre), plus the Cleve Carney Art Gallery, classrooms for the college’s academic programming and the Lakeside Pavilion. The MAC has presented theater, music, dance and visual art to more than 1.5 million people since its opening in 1986 and typically welcomes more than 75,000 patrons from the greater Chicago area to more than 230 performances each season. The MAC began major renovations in fall 2012 to update its three performance spaces, construct the new Cleve Carney Art Gallery and outdoor Lakeside Pavilion and make improvements to the infrastructure, teaching and learning spaces and patron service areas. The MAC renovation was funded as part of the $168 million referendum that voters of District 502 passed in November 2010. The MAC completed its 14-month, $35 million renovation in December 2013 and officially opened its doors to the public with the MAC Madness Celebration on March 8. The MAC’s 2014-2015 Season is its first full season following the landmark renovations. The mission of the MAC is to foster enlightened educational and performance opportunities, which encourage artistic expression, establish a lasting relationship between people and art, and enrich the cultural vitality of the community. For more information about the MAC, visit AtTheMAC.org. You can also learn more about the MAC on Facebook at facebook.com/AtTheMAC or on twitter attwitter.com/AtTheMAC. McAninch Arts Center (MAC) is supported in part by the College of DuPage Foundation. Established as a 501(c) 3 not-for-profit charitable organization in 1967, the College of DuPage Foundation raises monetary and in-kind gifts to increase access to education and to enhance cultural opportunities for the surrounding community. For more information about the College of DuPage Foundation, visitcod.edu/foundation or call 630.942.2462. Artwork photos from top: 1. Amy Vogel, studio detail, Chicago, 2012. 2. Amy Vogel, “Untitled (Widowmaker 3),” 2008. 3. Amy Vogel, Roger Brown House, New Buffalo, 2009. 4. Amy Vogel and Joseph Grigely, “Storage Rack,” 2012. Photos courtesy of the artists.